I think I might be able to do a pretty thorough Market recap after all. I'll just dive in. The following is actually pre-market, but it was part of my trip so it still counts. Last Wednesday (October 22) , I worked a half-day at my day job and then finished packing and headed to Providence to stay overnight at Madelyn's. 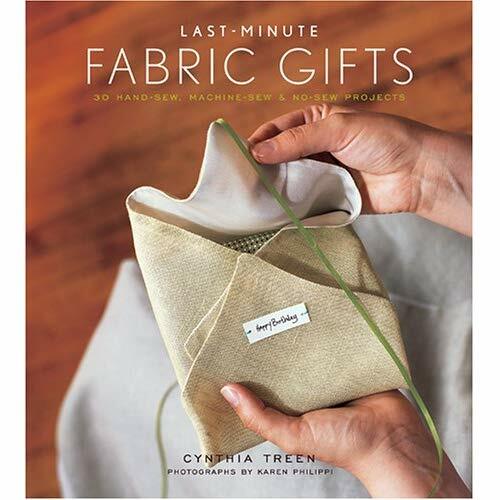 (sounds unrelated, but stick with me:) For a couple of years now, I'd known Maddie was friends with Cynthia Treen, talented sewing gal and author of Last-Minute Fabric Gifts. 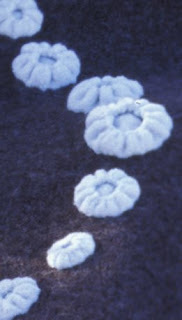 Yep, it's in the same series as Joelle Hoverson's Last-Minute Knitted Gifts and Last Minute Patchwork Gifts published by craft-title-superpublisher Stewart Tabori and Chang. Maddie had mentioned a couple of times that she thought Cynthia and I should meet, so when Maddie forwarded me an email with Cynthia's RISD sale info, I grabbed that email address like it was hot. Cynthia and I had been emailing for a couple of weeks when I found out that Maddie had a prior commitment for the evening I was to spend in Providence before heading out to Houston. It was a perfect opportunity to finally meet, so (with Maddie's blessing) I invited Cynthia to meet me at Maddie's house. With her tumble of butterscotch hair and cozy scarf, Cynthia looked adorable. Instantly, we started jabbering away about all things fabric-y and sew-y. She was eager to see Sugar Snap, so I pulled out some project samples I was bringing to Market, as well as a bundle of fabric I had put together for her. It was treat to hear her enthusiastic response to the line... ahhhhhh! And I can't wait to see what she sews with it. She makes these great wraparound skirts and might use Sugar Snap in her spring collection. Not only is Cynthia an author and crazy-talented sewist, she is also a producer (and frequent guest) for PBS show Cultivating Life and formerly worked as a a stylist for Martha Stewart Living. We were talking a bit about my plans for Houston and I mentioned that I would be going to a blogger party . Cynthia was like, "Really? You're doing the blog thing?" Turns out she has been toying with the idea, but was on the fence and had been getting mixed opinions on whether she should do it. To say I encouraged her would be putting it mildly. I practically insisted! We talked about it at length and I gave her the scoop: Blogging is awesome and everyone should do it. I filled her in to the best of my ability and in exchange, she promised to help me with my sewing skills! I think I definitely got the better end of that deal, but let's keep that on the down-low, shall we? The ink wasn't even dry on that transaction when Maddie came home and busted out some wine. We all kept talking for another hour or so and then Cynthia left, leaving Maddie and I each one of her lovely zippered pouches. What a sweetheart. I love the ribbon detail and that zipper is really cool! Cynthia also just opened an etsy shop under the username Treen. There are two gorgeous bags listed so far. That link takes you to one of them. Oh, and Cynthia got right on that blog thing, after all. By the time I returned from Houston, she had a few posts up already!